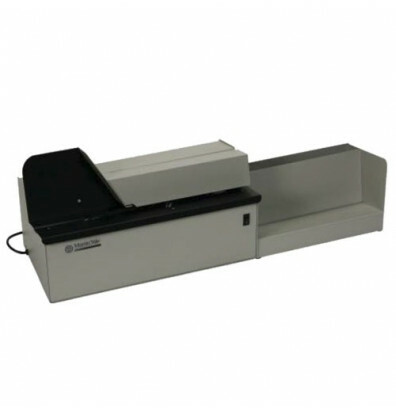 Envelope Thickness: Up to 1/4"
The Martin Yale 62001 high-speed automatic letter opener machine is perfect for large businesses and mailrooms where varying envelope sizes and types are commonplace, and high speed opening is required for efficient processing. 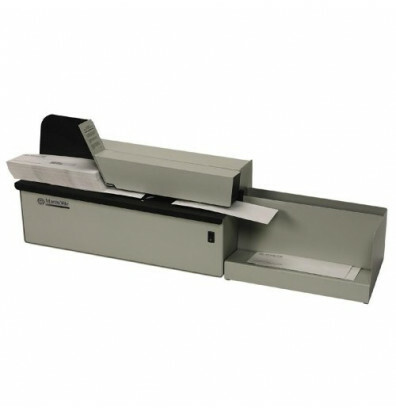 The 62001 letter opening machine will automatically feed, open, and collect a stack of envelopes at a speed of up to 17,500 envelopes per hour. Stacks of envelopes up to 6" tall and a 1/4" thick can be opened. The scrap width is adjustable with a control knob on the side of the machine. A removable catch tray is included. The envelopes and scrap are separated when ejected. 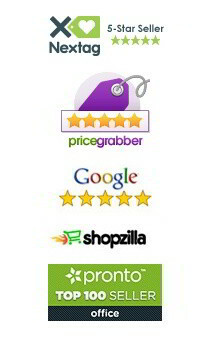 Envelope Size: All sizes and types. Depth of Cut: 1/32" to 3/16"
We have a small desk top letter opener, this is a great product.